Finally, your business has embraced a social media marketing strategy. You have your accounts across all platforms. You use a social media management tool to schedule posts. You’re active, posting, and your followers have grown steadily. Even the engagement with your posts has increased. 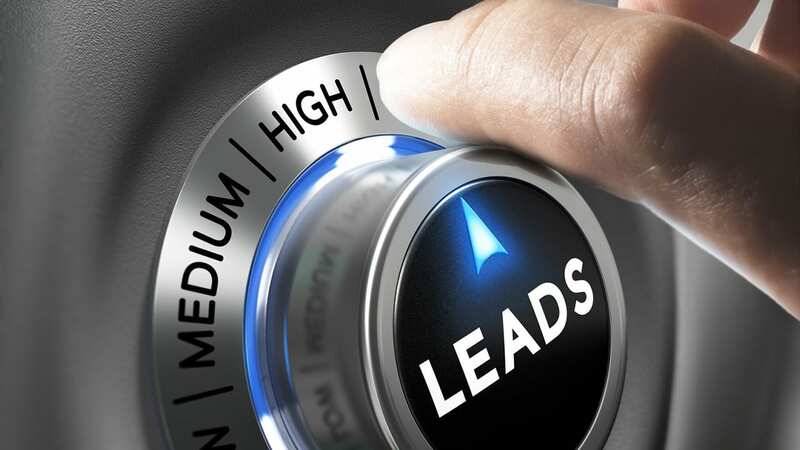 But how many leads are you generating? How many of those leads are closed into sales? Lead generation through social media marketing is one of the most important steps a business can take. Your company needs to continuously fill the top of the funnel, vet those prospects, and move them along the buying process so that your sales team can close the deal. Learning how to leverage social media marketing to generate leads is the job of your marketing department, but it needs to be part of a company-wide philosophy. Because there are almost 3.5 billion users worldwide , your company needs to generate leads through social media. According to eCommerce, 75% of B2B buyers are social. That means your customers are online, performing research at every stage of the buying process. More than likely, they’re checking out your brand on the many different social channels to see what your company is all about. When they find you, is your company actively trying to turn them into leads and customers? Or, are you one of the many companies passively sitting there waiting for someone to contact you? More than 68% of B2B companies are still struggling with lead generation. If your company is one of them, more than likely, you’re not leveraging social media to generate leads. Using social media to generate leads isn’t about tweeting, posting, and waiting. Your prospects are out there, sharing information, revealing their needs and pain points. See what they’re posting, find which platforms they are most active on, and view their profiles. By using a social media management tool with Monitoring, you can view live feeds of all your social media accounts, as well as mentions, hashtags, and discussions. Meet your customers where they’re most active they’ll be more likely to engage with you. Develop relationships built on mutual respect and trust by sharing information, relevant articles, and solutions. B2B customers buy from those they trust. Social media provides a perfect opportunity for you to develop that trust. One of the best ways to generate leads is to publish premium content. This includes, but isn’t limited to, eBooks, white papers, webinars, and SlideShares. By having this content behind landing pages, visitors have to provide their contact information before obtaining the content. To generate leads through social media promote this content with posts and photos. Some social media management tools provide Auto Post, so you can set up queues of posts that will automatically recycled. Make sure that the content you’re offering is important and informative to your target audience. If someone provides their contact information and is disappointed by the content they receive, more than likely they will not become a customer. This content shouldn’t be a sales pitch. To further develop that trust, it should focus on providing insightful solutions to specific problems. Your social media profile pages have become just as important as your website and need to be optimized. Not only for search engines, but also to generate leads. This is where people will go to judge who your company is and what value you provide. In as few words as possible, reveal your target audience, show your value, and your services. Next, tell your visitors the next step. Have clear contact information, links to your website, and a link to the landing page for your most popular gated content. Generating leads through social media marketing is about being social. Stop blindly liking and retweeting without comments. Start engaging with your prospects to develop a relationship. As mentioned, engaging revolves around providing answers, solutions, and help to your prospects. Develop the trust you need to sell and nurture the relationship. But it also includes commenting on their posts and sharing their content with your networks. Be there, active, and connect with people to develop relationships. If the main goal for your social media marketing strategy is brand awareness, the amount of followers and the amount of engagement your posts receive are important. However, sooner or later you’ll need to focus on generating leads and increasing sales through your social media marketing. When that happens, the amount of followers you have isn’t as important. It will be about nurturing deeper relationships with the followers you do have. That means when someone likes your post or comment, thank them. When someone connects with you, message them. Share an article they might find useful. Offer to email them to set up a time to chat to see how you can benefit from each other. Be social and be engaging by following up with people that connect with you to develop relationships. Don’t sit back and idly watch as your competitors leverage social media to generate leads and increase sales. Engage and interact with your followers to develop relationships. As more businesses are performing more research on their own, 57% of the buying process is complete before someone contacts the sales department, your company needs to be active and stay top of mind by providing relevant solutions. Developing deeper relationships and building trust means it’s more likely that prospects will contact you or refer your company. Continue reading about the 7 Social Media Tips to Grow Your Business. Then, subscribe to our email list to be the first to receive the latest news from us!